Seems our reality TV star, Alex Asogwa, is determined to stay happy no matter how many people come at her. 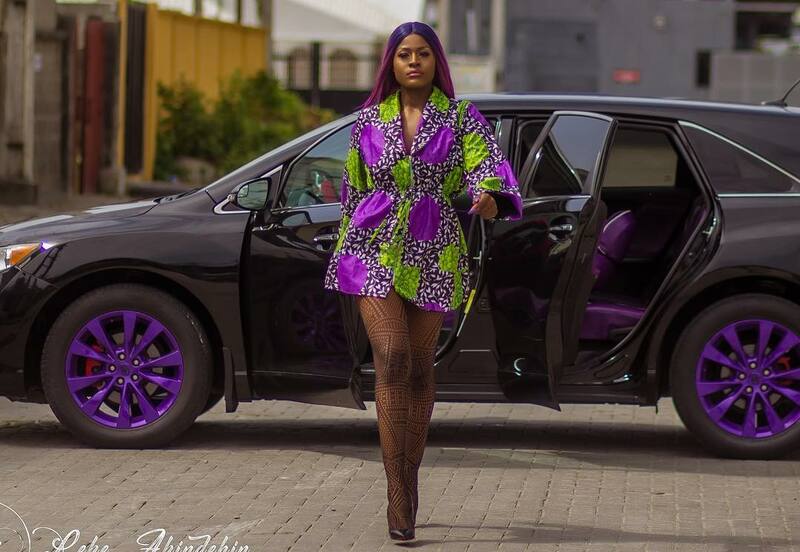 Several hours after walking out of the Big Brother Naija 2018 reunion Show in tears after feeling the sharp pain of betrayal, Alex has taken to her Instagram page to share beautiful photos of her slaying alongside her new Venza car. The young star isn't about to let bad vibes get to her. "The color purple is often associated with royalty 👸🏽, nobility, luxury, power, and ambition. Purple also represents meanings of wealth, extravagance, creativity, wisdom, dignity, grandeur, devotion, peace, pride, mystery, independence, and magic. In this very moment, I bleed purple. 💜💜💜 "